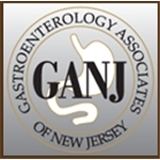 Gastroenterology Associates of NJ (Clifton) - Book Appointment Online! Very knowledgeable and patient Doctor. Sincere and thorough. Highly recommend him! He was very caring and complete, with a great bedside manner, highly recommend.